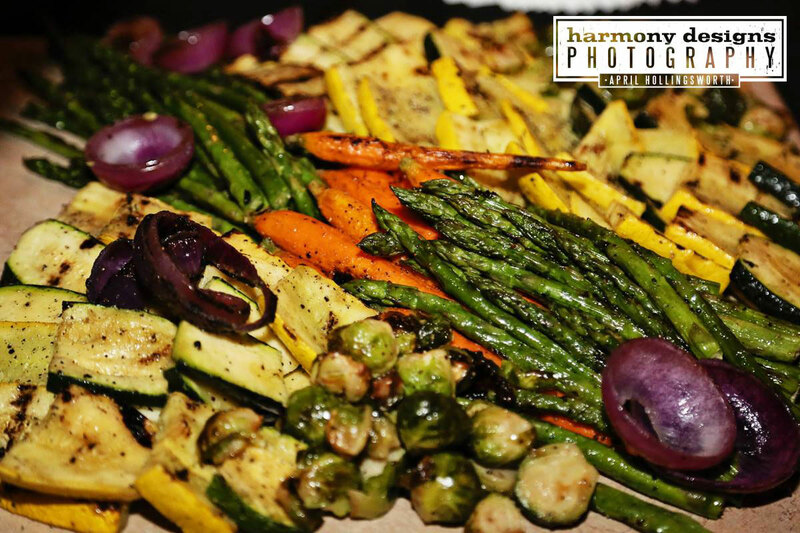 An assortment of grilled vegetables, roasted brussels sprouts, cauliflower, and sweet potatoes. Served with our pepper glazed goat cheese gratin and crackers. Warm, smoked Gouda & Bacon dip and honey-sweetened Ricotta & Fig spread. 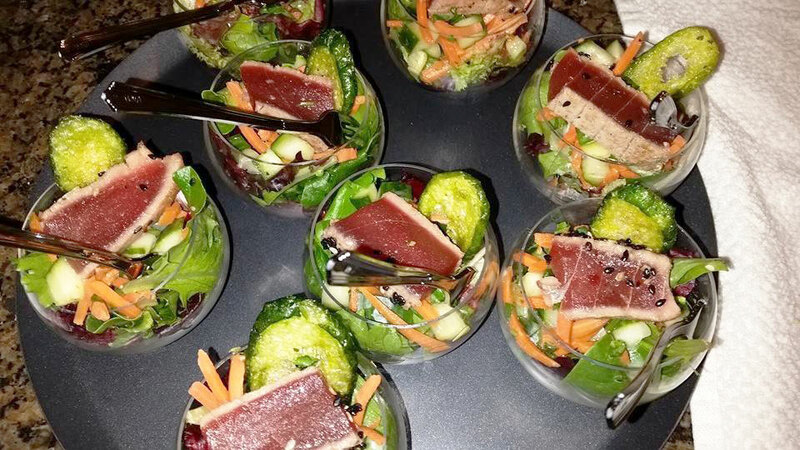 Sliced thin and served on top of pickled carrots, cucumbers and cabbage. Finished with a ponzu glaze and served in a disposable sphere. Arborio rice mixed with spinach, feta, and dill. Panko encrusted and flash fried. Served with Eleni’s Tzatziki. Mini hot dogs topped with grilled pineapple and habanero relish. 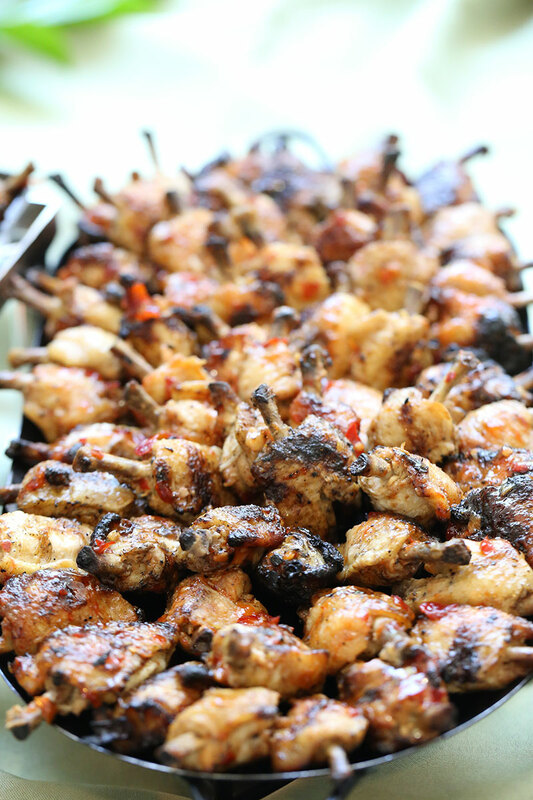 Petite, frenched drumettes glazed and grilled to perfection. 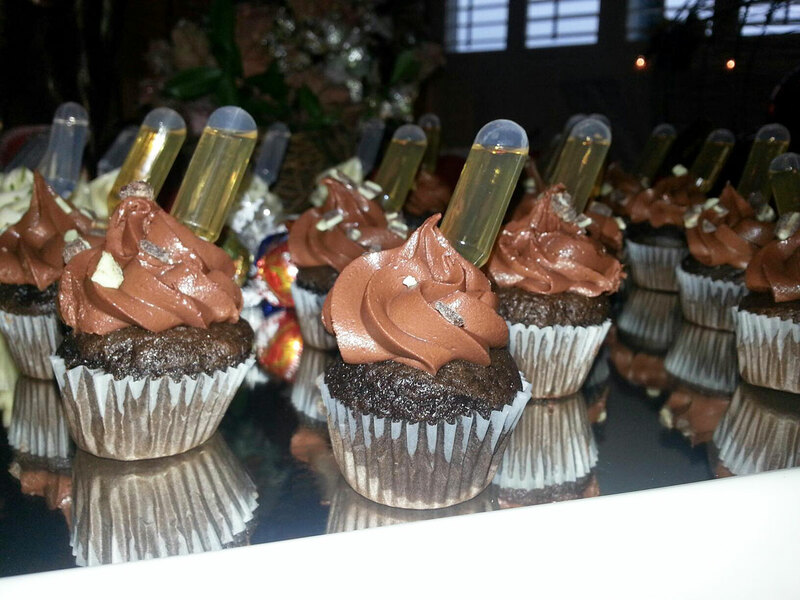 Homemade cupcakes paired with a liquor-filled pipette. Flavors include: Chocolate with Kailua, Spice Cake with Apple Crown Royal, and Coconut-Lime with Coconut Rum.